Fashion models are not generally known and recognized the world over for their outstanding streaks of humility, but in this week’s Young Professional, there is a sense that this is indeed one of her foremost and most remarkable features. 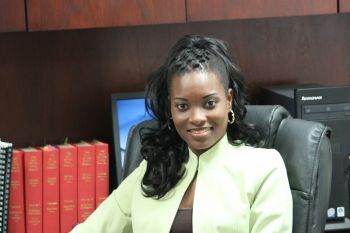 Our Young Professional fashioned her journey to the stage through her days at the Althea Scatliffe Primary School, BVI High School (now Elmore Stoutt High) and the H. Lavity Stoutt Community College (HLSCC) where she secured two Associate Degrees in General Science and Business Management in addition to several related certificate courses with the most recent being Supervisory Management this year. Lavanta describes herself as independent minded and driven for several reasons and disclosed that her Christian background and energetic demeanour are only some of the factors responsible for this outlook on life. “I have taken my energy and I try to use it in anything that I deem positive,” she said. The twenty-eight year old expressed that she is very often involved in poetry, dancing, drama and other activities related to the arts but she has in no way limited herself to this category over the years and revealed that she is also into athletics as well. Her mantra and general outlook on life are surrounded by themes of positive and clean fun. 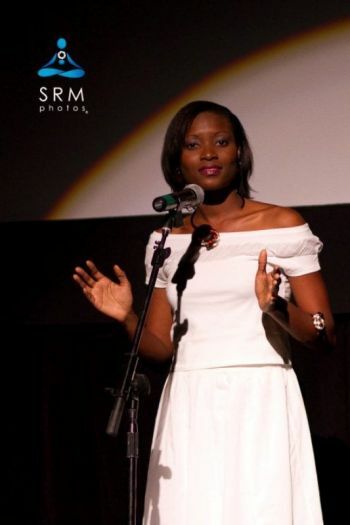 Her love for poetry extends to such reaches that she has competed in several talent shows over the years with the art form being revealed as a passion that was fuelled from the Class Three stage at Primary School. Lavanta was also one of the authors of the local compilation –Virgin Islands Callaloo - Poems from the Caribbean Published 2006 by AuthorHouse. The talented maestro is also involved with the drama team at her church. The currently serves in the capacity of Administrative Officer at the Law Reform Commission (LRC) and related that her job entails supporting the Secretary/Senior Administrative Officer in addition to supervisory duties in the officer’s absence. At the Law Reform Commission, she explained, outdated laws are updated and recommendations made for new laws which are then formulated into reports that are forwarded to the Attorney General’s Chambers for ratification before being sent to Cabinet. Modelling has also played a big part of Lavanta’s life and it has been over a decade since she first began doing so in 2001 for establishments such as C&C Couture and later, Mint Model Management and Intrigue Models. In 2008 she was the winner of the of Miss BVI Top Model Competition and also secured the Miss Photogenic and best Dare to Wear (Futuristic) segment awards. 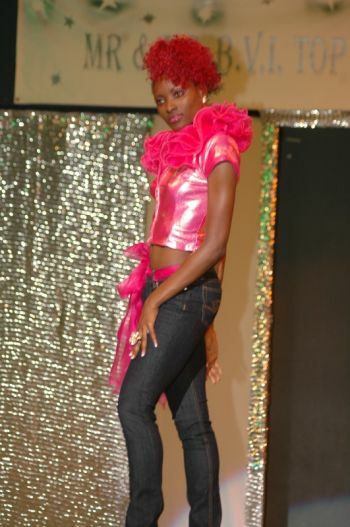 Later that same year she placed third at the Top BVI Model for Intrigue Models for the “Dress shop” and “9-5 and After” segments for “Rip Da Runway Competition” against Models from the U.S.V.I. Lavanta has also been involved in pageantry as well, competing in the 2012 Miss BVI pageant where she won the Miss Popularity prize. She is presently a committee member of the annual Miss Teen Diva Pageant founded in 2007. Lavanta said she has many interests looking ahead, including extending her love for writing in various avenues, studying Law and she also intends to enter into the field of health by one day owning her own spa. She has already made meaningful and progressive steps towards this in studying Reiki, considered to be a spiritual relaxation and healing technique by many, and is part of a small group of residents who have received the necessary instruction and been attuned for Reiki Level II through Reiki Master-Teacher Lilian Jarales of the Ruah Energy and Intuitive Knowledge Institute. “I’ve always been fascinated by the human body,” she said while explaining that the topic of health had piqued her interest ever since her early days of schooling. The aspiring spa owner also disclosed that she has always been a people person and offered that if she could someday have the opportunity to assist persons to relax and de-stress, then this field would be well suited for her. Our Young Professional encourages youth to remain close to God and remain open minded above all else. “As you go through life, you realise that it’s much more than you can see at your age and as you [continue], you’d find that life opens up to you more and more so if you stay close-minded you won’t learn and you won’t grow; and life is perpetual,” she stated. “Be you to the Fullest - That’s when you become Bea-U-ti-ful!” Lavanta said. She explained that this basically means to her that one can find the deeper meaning of the word beautiful by getting to know their unique characteristics and expressing them fully. wow another fine pick vino go girl! May God continue to bless you, you are on your way to bigger and better things! Jeremiah 29:11! Love you. I am proud of you, keep up the good work and never give up. Damm you are so fine lav, condrats and i am so proud of you and keep up the great work, may god continue to bless you. Lavanta your pic is one of the best pics VINO has put up of a young professional. Keep on keeping on! Congratulations lil sister, very proud of you, you are indeed a very remarkable young lady with potential for greatness. Always proud of you cuz! Your drive and determination will keep you reaching incredible heights!! God Bless always!! Nice article sis keep GOD in your life, stay positive and follow your dreams. This is GREAT Lavi!! You have a promising future girl. Keep your eyes on the ball and don't stop striving. Another good pick VINO you all need a Pulitzer for these award winning features…God speed Ms. Thompson you are certainly on the highway to success!